McCully Racing Motors- Don't want a V8? How about a 2.0? In addition to custom work, McCully Racing Motors Machine now offers TWO modified Mazda BP motors, our popular Sleeved 2.0 liter and now our 1.9 “Square” block. We’d like to introduce you to an alternative way to increase 1.8 liter Miata displacement: by leaving the stock stroke alone and instead increasing the piston/bore diameter. “Stroked” BP engines and kits have been available for a while now around the web but never has a bored version been offered. We’ve set out to change that. Why is it better to bore a block and then stroke the crank? It’s better because it’s more natural. Stroking an engine increases the length of each piston’s throw (thus the name) to create larger displacement. Increasing the throw creates greater reciprocal motion and piston speeds which in turn decreases “revability” of the finished engine. Our 2.0’s and 1.9’s retain the original 1.8 stroke and thus retain the “pep” of the original while increasing the displacement 25%. Also, stroking an engine requires replacement of the stock forged crank with an expensive “stroker” crank. By retaining the stock crank (which is actually quite a quality forged piece) the finished cost is much less. An added benefit of our approach is the resulting shift on the engine’s bore to stroke ratio. 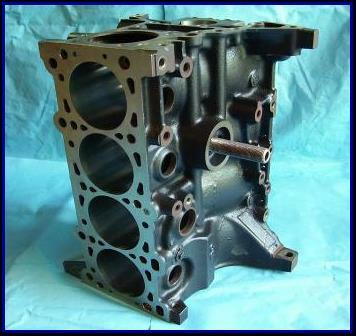 A stock 1.6 or 1.8 BP is an under bored engine in that the stoke exceeds the bore diameter. Engines with an under bore are typically designed for low end torque, not high rpm horsepower (imagine a pickup truck motor). An engine with an overbore has a piston bore that exceeds the piston throw. These engines are designed for high rpm horsepower but may lack lower end “grunt” (imagine a sport bike or F1 engine). An engine with an equal bore and stroke is considered “square” and is considered by many to be the ideal. Our 1.9 is square with an 85mm bore and 85mm stroke. How does MRM build a Bored 2.0 or 1.9? First we take a good 1.8 block and crank. The block is blueprinted and then bored oversized to 85 mm and finished as a 1.9 or in the case of a 2.0 further out to fit a proprietary steel sleeve (custom made just for MRM by Darton). After final honing, the 2.0’s bores fit an 85.5mm piston (total displacement is 1952 cc’s). For all builds we use Manley rods and ether Supertech or Wiseco pistons. Both the 1.9 and the 2.0 can assemble with an 11:1 compression ratio for naturally aspirated applications or a lower 9:1 ratio for forced induction Miatas. After thorough checking we reuse the stock forged crank (all Miata cranks are forged). 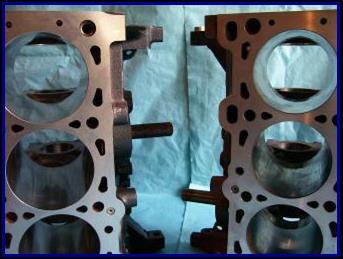 All 1.9 and 2.0 MRM BP’s are shipped with a proprietary custom head gasket which is included in the cost. What do I get with this bottom end? You get a completely assembled block with all new bearings. The crank, rods, pistons, and rings are all fully assembled and installed in the block. All you need do is pull out your old engine, remove the head , oilpan and accessories from it, bolt them on this bottom end and stick everything back in the car. 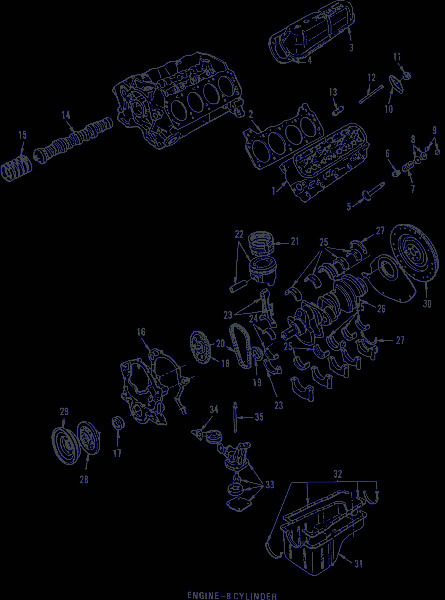 We even supply you with a custom head gasket. Our 1.9’s start at $4096 and our 2.0 at $5500, both before shipping and core charge. Please contact McCully Racing Motors Machine for more details and a quote. Send us an email or give us a call so we can discuss exactly what your needs are. The block on the left has been bored and sleeved, the one on the right is a stock 1.8 block. 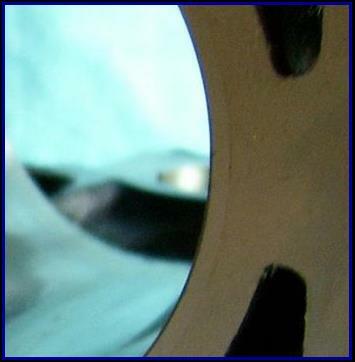 The custom MRM steel sleeve is fitted with such precision that only in this extreme close up can it be seen. Because there’s no replacement for displacement.